30 mugs by December 30: it’s a mug frenzy! Well, it was supposed to be a mug frenzy. I decided at the open house that I would focus on replenishing this much requested item. I am not a mug maker. 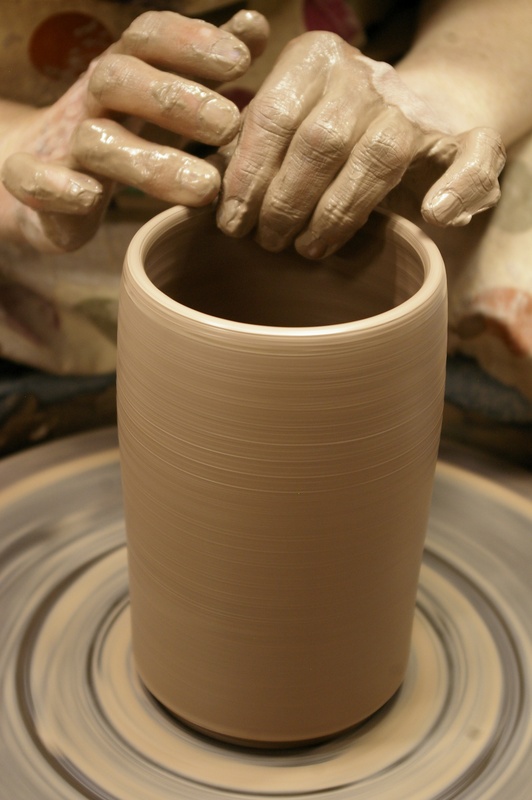 What I mean is I am not a production potter, and I do not work in my studio full time. (Some day!) I make mugs on occasion, when I feel inspired, or have a specific request, but the two part process stifles me so I only make a handful at a time. So I gave myself a challenge to produce as many mugs as I could before the end of the month. 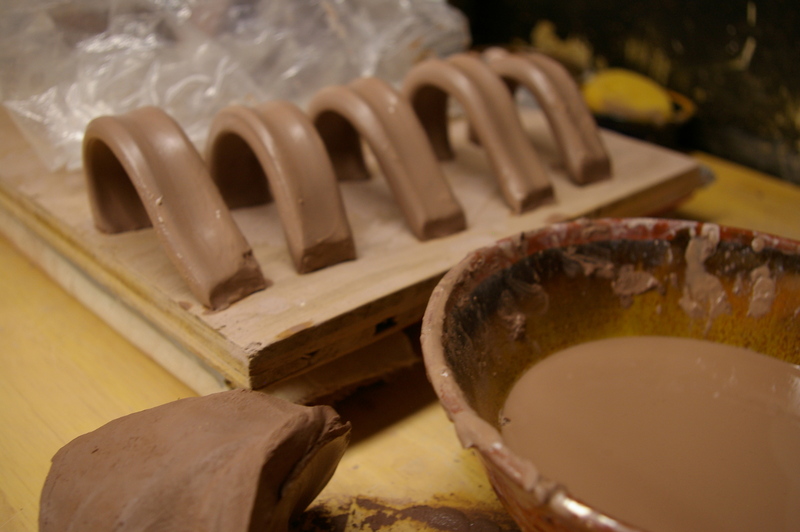 My goal was to have fun, explore new forms and ideas, and ideally, attach a handle to a variety of mug forms. I started out slow, then I lost a little momentum and motivation, and my anticipated mug frenzy of reaching 60 mugs (3mugs per 5 studio days over 4 weeks) had to be cut in half. It has been a busy, emotionally charged month. The last few nights I forced myself to push forward and attached handles to about a dozen forms that were waiting under plastic and threw some straight cylindrical forms. I feel better! I am still a little behind, but I am sure now I will reach my goal of 30. I’ll save the real frenzy for January 2013.